Transglutaminase IgA ELISA Kits - Transglutaminase ELISA Test kits | 818-591-3030, USA. The Anti Tissue Transglutaminase IgA ELISA Test is an Indirect-solid phase enzyme immunometric assay for the quantitative detection of IgA antibodies to transglutaminase in serum or plasma. The Anti Tissue Transglutaminase IgA ELISA is an aid in identifying celiac disease and dermatitis herpetiformis. problems and other diverse side effects. In some cases patients may be asymptomatic. The enzyme tissue Transglutaminase (tTG) has been reported to be the main, if not sole, target for endomysial antibodies. These antibodies fall once a gluten-free diet has begun, thus facilitating monitoring of dietary compli-ance. 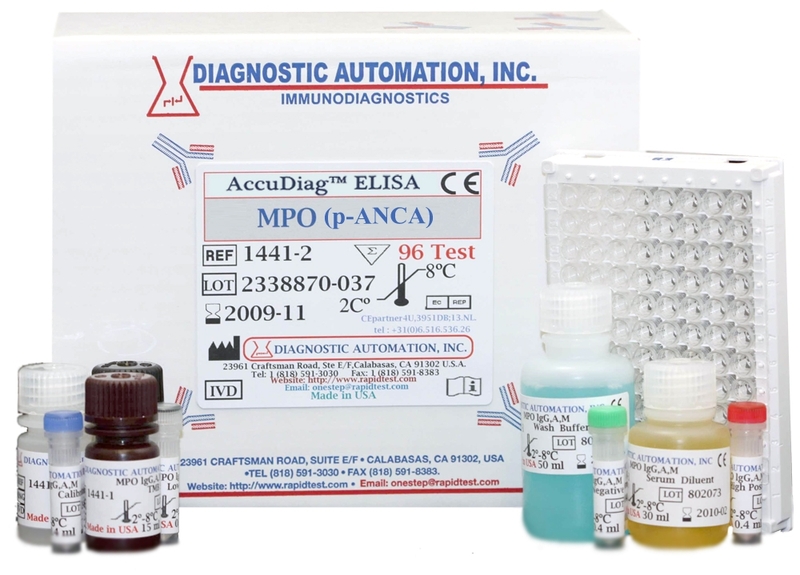 Diagnostic Automation Inc. offers a Transglutaminase IgA ELISA Kit which is an Indirect solid-phase enzyme immunometric assay for the quantitative detection of IgA antibodies to transglutaminase in serum or plasma. The Transglutaminase IgA ELISA kit, like many ELISA KITS, is for in-vitro diagnostic laboratory use only. 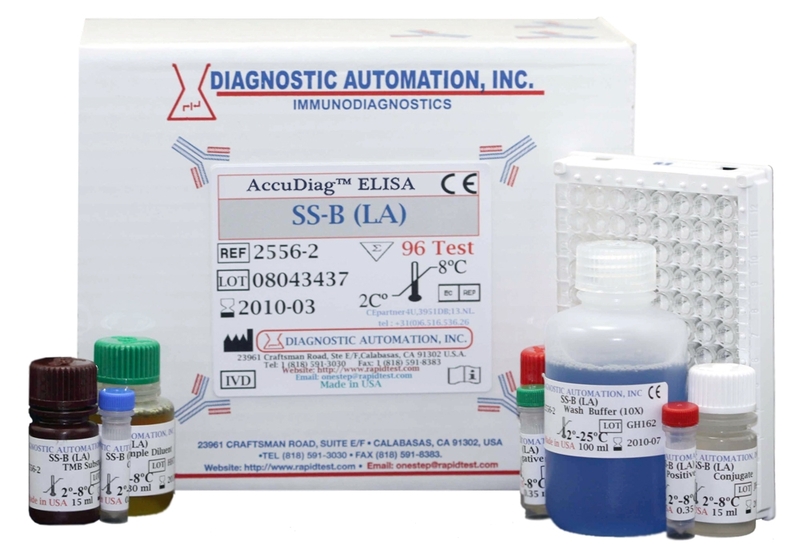 As in other Autoimmune ELISA Kits, the principle of the Anti-Tissue Transglutamiase IgA ELISA kit is a three-incubation process. 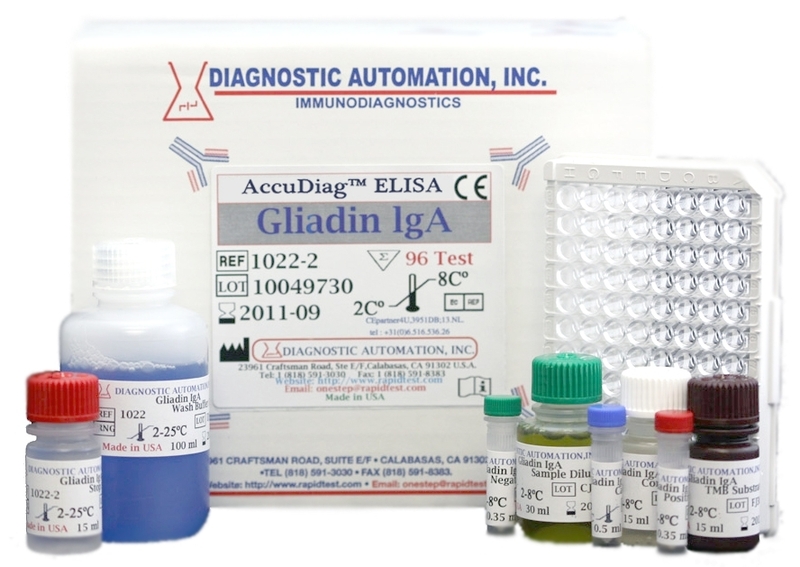 The Transglutaminase IgA ELISA Kit is used as an aid in identifying celiac disease and dermatitis herpetiformis. 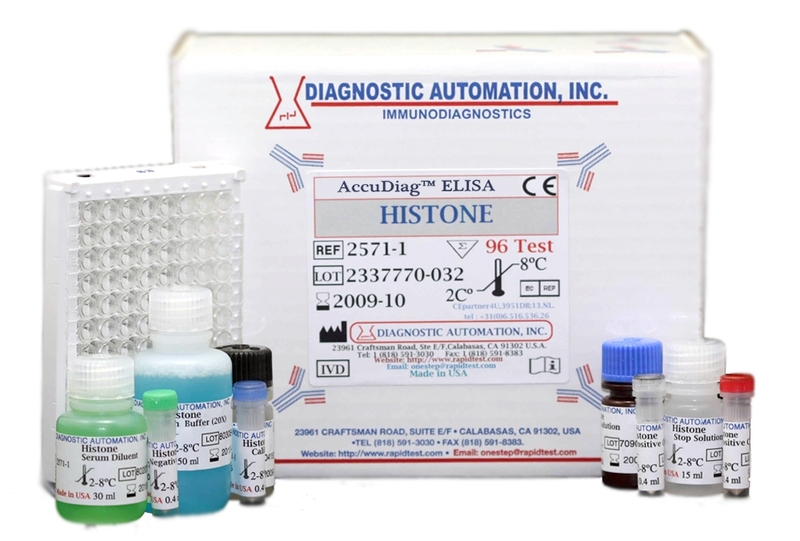 Product inserts for most Autoimmune ELISA kits follow a similar method. See the Transglutaminase IgA ELISA Kit product insert for details on preparation, procedures, quality control, and test result interpretation.